I have just a minute to write before zipping across town for dinner, but I had to let you know about this. Tonight, Link TV is airing a new series on Muslim music called "Rappers, Divas & Virtuosos: New Music from the Muslim World." The four-segment show airs tomorrow on Link TV. if you don't get it you're still in luck; you can watch it online. The segments I've watched have been very engaging, giving political, social, historical, and geographical context to the cultural traditions being highlighted. Islam is the majority faith in 47 countries, with almost as many different cultures. This new series presents spirited musicians from Iran, Western Sahara, Bangladesh, and Morocco who, whether singing, rapping or playing their instrument, bring an extraordinary voice to their art. Each artist, in his or her own unique way, breaks through tradition and stereotypes of conformity, using music as a tool for justice and peace. Kayhan Kalhor: Songs of Hope Kayhan plays the kamancheh, or Persian spike fiddle. In a unique position, he represents both tradition and innovation in Iran. Mariem Hassan: Voice of the Saharawis For the last 13 years Mariem Hassan’s heartfelt, piercing voice has been the musical ambassador of the Western Saharan people. 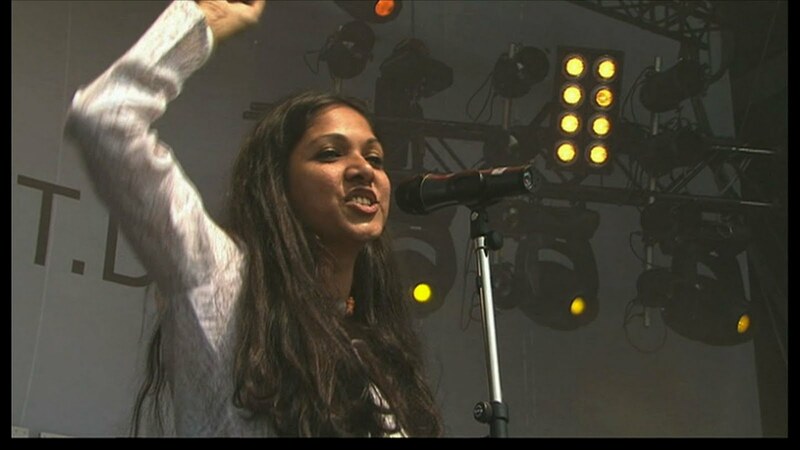 Anusheh: The Secret Words Anusheh is a fiery, outspoken Bangladeshi singer-songwriter who has pioneered the fusion of traditional rural songs with rock music. H-Kayne: Hip-Hop Moroccan Style Hip-hop has only taken hold in Morocco the last six years, and it is largely thanks to H-Kayne, a group of four young men who grew up listening to Biggie and Tupac. Kudos to Link TV for airing this, and I hope the response to this show is positive and encourages more exposure for such musicians and genres. Obviously they couldn't cover all styles of Muslim music in such a short period of time, and there are obvious places to explore next, including Indonesia, sub-Saharan Africa, and Central Asia. For now, though, it's a great start.